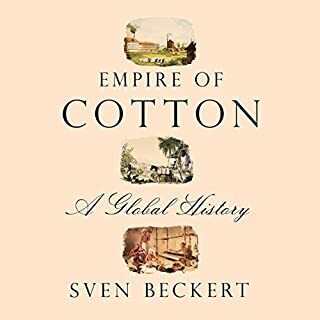 Here is the story of how, beginning well before the advent of machine production in the 1780s, these men captured ancient trades and skills in Asia, combined them with the expropriation of lands in the Americas and the enslavement of African workers to crucially recast the disparate realms of cotton that had existed for millennia. We see how industrial capitalism then reshaped these worlds of cotton into an empire, and how this empire transformed the world. Ever since Darwin and The Descent of Man, the existence of humans has been attributed to our intelligence and adaptability. 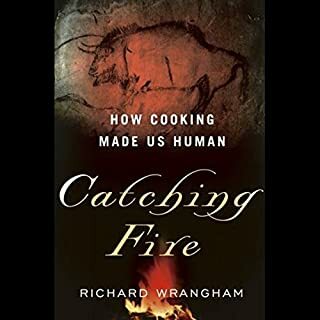 But in Catching Fire, renowned primatologist Richard Wrangham presents a startling alternative: our evolutionary success is the result of cooking. In a groundbreaking theory of our origins, Wrangham shows that the shift from raw to cooked foods was the key factor in human evolution. Fresh Fruit, Broken Bodies provides an intimate examination of the everyday lives and suffering of Mexican migrants in our contemporary food system. 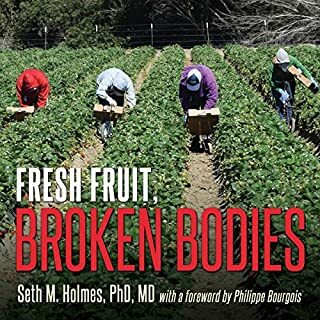 An anthropologist and MD in the mold of Paul Farmer and Didier Fassin, Seth M. Holmes shows how market forces, anti-immigrant sentiment, and racism undermine health and health care. Holmes' material is visceral and powerful. He trekked with his companions illegally through the desert into Arizona and was jailed with them. 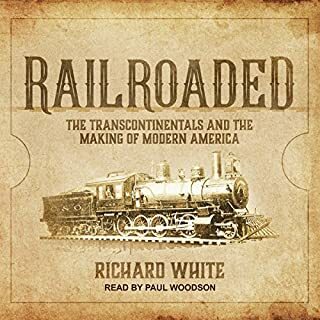 The transcontinental railroads of the late 19th century were the first corporate behemoths. Their attempts to generate profits from proliferating debt sparked devastating panics in the US economy. Their dependence on public largess drew them into the corridors of power, initiating new forms of corruption. Their operations rearranged space and time, and remade the landscape of the West. As wheel and rail, car and coal, they opened new worlds of work and ways of life. Honeybees make decisions collectively-and democratically. Every year, faced with the life-or-death problem of choosing and traveling to a new home, honeybees stake everything on a process that includes collective fact-finding, vigorous debate, and consensus building. 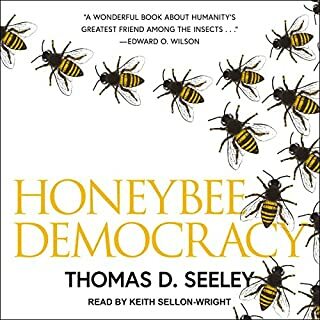 In fact, as world-renowned animal behaviorist Thomas Seeley reveals, these incredible insects have much to teach us when it comes to collective wisdom and effective decision making. Why did humans abandon hunting and gathering for sedentary communities dependent on livestock and cereal grains and governed by precursors of today's states? Most people believe that plant and animal domestication allowed humans, finally, to settle down and form agricultural villages, towns, and states, which made possible civilization, law, public order, and a presumably secure way of living. But archaeological and historical evidence challenges this narrative. 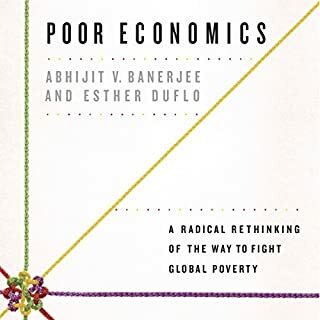 How did a simple commodity, once the prized monopoly of kings and princes, become an essential ingredient in the lives of millions, before mutating yet again into the cause of a global health epidemic? Prior to 1600, sugar was a costly luxury, the domain of the rich. But with the rise of the sugar colonies in the New World over the following century, sugar became cheap, ubiquitous, and an everyday necessity. Less than 50 years ago, few people suggested that sugar posed a global health problem. Uncommon Grounds tells the story of coffee from its discovery on a hill in ancient Abyssinia to the advent of Starbucks. In this updated edition of the classic work, Mark Pendergrast reviews the dramatic changes in coffee culture over the past decade, from the disastrous "Coffee Crisis" that caused global prices to plummet to the rise of the Fair Trade movement and the "third-wave" of quality-obsessed coffee connoisseurs. Matsutake is the most valuable mushroom in the world - and a weed that grows in human-disturbed forests across the northern hemisphere. Through its ability to nurture trees, matsutake helps forests to grow in daunting places. It is also an edible delicacy in Japan, where it sometimes commands astronomical prices. In all its contradictions, matsutake offers insights into areas far beyond just mushrooms and addresses a crucial question: what manages to live in the ruins we have made? We are familiar with maps that outline all 50 states. And we are also familiar with the idea that the United States is an "empire", exercising power around the world. But what about the actual territories - the islands, atolls, and archipelagos - this country has governed and inhabited? In How to Hide an Empire, author Daniel Immerwahr tells the fascinating story of the United States outside the United States. In crackling, fast-paced prose, he reveals forgotten episodes that cast American history in a new light. State and Revolution (1917) describes the role of the state in society, the necessity of proletarian revolution, and the theoretic inadequacies of social democracy in achieving revolution. It describes the inherent nature of the state as a tool for class oppression, a creation born of one social class's desire to control all other social classes. Whether a dictatorship or a democracy, the state remains in the control of the ruling class. The ruling class will never willingly relinquish political power, maintaining it via various strategies. Hence, according to this view, communist revolution is the sole remedy for the abolition of the state. At the end of the Civil War the leaders and citizens of the victorious North envisioned the country's future as a free-labor republic, with a homogenous citizenry, both black and white. The South and West were to be reconstructed in the image of the North. Thirty years later Americans occupied an unimagined world. The unity that the Civil War supposedly secured had proved ephemeral. The country was larger, richer, and more extensive but also more diverse. Acclaimed cookbook author Jessica B. Harris weaves an utterly engaging history of African American cuisine, taking the listener on a harrowing journey from Africa across the Atlantic to America, and tracking the trials that the people and the food have undergone along the way. From chitlins and ham hocks to fried chicken and vegan soul, Harris celebrates the delicious and restorative foods of the African American experience and details how each came to form an important part of African American culture, history, and identity. 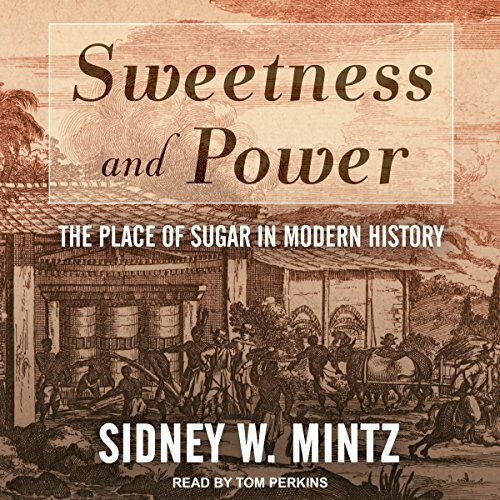 In this eye-opening study, Sidney W. Mintz shows how Europeans and Americans transformed sugar from a rare foreign luxury to a commonplace necessity of modern life and how it changed the history of capitalism and industry. He discusses the production and consumption of sugar and reveals how closely interwoven sugar's origins are as a "slave" crop grown in Europe's tropical colonies, with its use first as an extravagant luxury for the aristocracy, then as a staple of the diet of the new industrial proletariat. Finally, he considers how sugar has altered work patterns, eating habits, and our diet in modern times.